Community Venture provides services to individuals with developmental disabilities who are eligible for funding through Manitoba Family Services & Consumer Affairs’ Community Living disABILITY Services. All requests for service are directed through Community Venture’s Coordinators. 1) Intake Meeting – this meeting provides a first time meet and greet. During the meeting, we will ask questions to complete our Intake Summary and you will have the opportunity to ask questions as to our services. You will be provided a tour of the facility. 2) 2 Week Trial Placement – once it has been determined that you would like to try our services and in order to get to know your needs a little better, a 2 week trial period will be put into place. During this time you will have the opportunity to try the different activities provided and we will be assessing the support needs required. After this trial period, the Coordinator will inform your Community Service Worker and yourself if Community Venture is able to provide services and to see if those services are being requested by you. 3) Proceeding with Proposal for Services – Once it has been determined that you would like to become a member of Community Venture, the Coordinator will submit a proposal to Community Living disABILITY Services requesting the necessary funding to provide supports. Upon approval of the funding, you will be contacted by your Community Service Worker and a referral will be requested. This document provides a background of the individual’s life experiences, as well as an overview of his/her current support requirements. Should you have any questions regarding this stage your Community Service Worker will be able to provide these answers. 4) Joining as a Member – you are now a member of Community Venture! You will be provided with a Member Handbook that gives you an outline of what to expect now that you will be attending. Community Venture provides developmental day programming, residential, transportation, outreach, and respite services to adults living with intellectual disabilities. Enhancing the quality of life for individuals with developmental disabilities since 1986. Each Community Venture service endeavors to enhance its members’ quality of life by meeting their special needs, by affirming their unique contributions, and by presenting a broad range of experiences and growth opportunities. 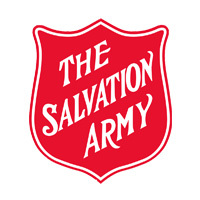 © 2019 The Salvation Army Community Venture. All rights reserved.